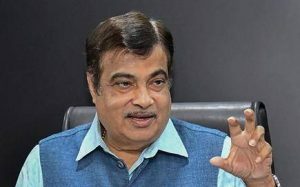 By Bizodisha Bureau, Bhubaneswar, February 6, 2019: Union Road Transport and Highways Minister Nitin Gadkari on Wednesday inaugurated a number of National Highway projects in Odisha in a bid to reduce traffic congestion and ensure the safety of road users. The minister laid the foundation stone for several projects including the four laning of 41.726 km Talcher-Kamakhyanagar stretch of NH 200/23, (New NH 53), worth Rs 795.18 crore; 51.1 km Kamakhyanagar-Duburi stretch of NH 200 (New NH 53), worth Rs 761.11 crore and 39.4 km Duburi-Chandikhole stretch of NH 200 (New NH 53), worth Rs 789.23 crore. These highway projects will include 45 km of service roads, 9 major bridges and 39 minor bridges, 19 vehicular underpasses, 3 bypasses and 1 flyover. These National Highway projects will ensure better connectivity for the mineral-rich districts of Odisha, namely, Angul and Dhenkanal with the rest of the state, according to a press release issued by the Ministry of Road Transport and Highways. The ministry believes that by minimizing traffic congestion and the travel time between places, these projects will help in reducing the operating cost of vehicles along with bringing down the pollution levels. Moreover, the projects will help in generating more employment opportunities in the region and will also improve the socio-economic condition of the local people, the release stated. Meanwhile, Gadkari also launched a multipurpose clean cargo berth of capacity 50 lakh tons per year at Paradip port, which has been developed at a cost of Rs 431 crore. The berth is 450 m long, 30 m wide, 16 m draught and has the capacity to take in Capesize vessels up to 125000 DWT. Also, the ministry said that there is a railway line of 3.2 km with full-length siding. With the container handling capacity, the local industry will be enabled to find global markets. Additionally, the minister also laid the foundation stone for LPG Terminal at South Oil Jetty, mechanization of 3 coal handling berth, development of New Coal Import Berth, development of a Multi-Modal Logistic Park, connectivity of MCHP and IOHP at PPT, construction of second exit road including flyover from the port.